LONG BEACH — Sailors will hit the water Oct. 16 -18 to compete in the annual Linda Elias Memorial Women’s One Design (LEMWOD) Regatta at Long Beach Yacht Club. Hosted by Long Beach YC, the annual fleet racing contest is sailed by 10-woman crews on Catalina 37s. 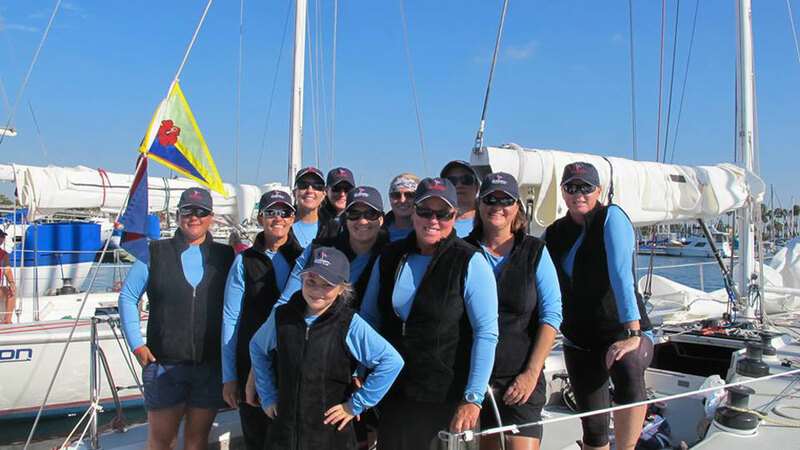 Organized by the Long Beach Women’s Sailing Association, the regatta is now in its 24th year and welcomes several teams from Washington State to San Diego. The LEMWOD was originally called the Women’s One Design Challenge and later renamed in honor of Linda Elias, an original participant and one of Southern California’s most successful female sailboat racers. Elias passed away in 2004, at the age of 52, after a nine year battle with ovarian cancer. Her friends and fellow sailors still speak of her skills and the presence she brought to a sailing team. A winner of the Peggy Slater Yachtswoman of the Year award, Elias raced the Transpac in 1989, 1991, 1993 and 1999. Her team won the Women’s One Design Challenge in 1992, 1994 and 1996, the last two while battling ovarian cancer. Teams returning to competition this year are California Yacht Club, Women’s Sailing Association of Santa Monica Bay, the Gybe Ho’s (Washington), Long Beach YC Women’s Sailing, Southwestern Yacht Club and Long Beach/Los Angeles Women’s Sailing Association. New teams this year include the O’Seas from WSA-OC and the reunited squad of San Diego Yacht Club and Novias Del Mar. Females of all ages participate in this regatta, from teenagers who are capable sailors in their own right to seasoned veterans who have sailed the world. The seven-race schedule begins with a start line practice session and open racing for a tune up. The races are followed with a little relaxation, dinner and dancing. The last day of racing, Oct. 18, will end with an award ceremony. The preferred course area is near the Belmont Pier where spectators can watch, but winds that day will determine exactly where the racing will be. There are no handicaps and all boats compete in every race. It is a pure form of racing where the skill of the team makes the difference. 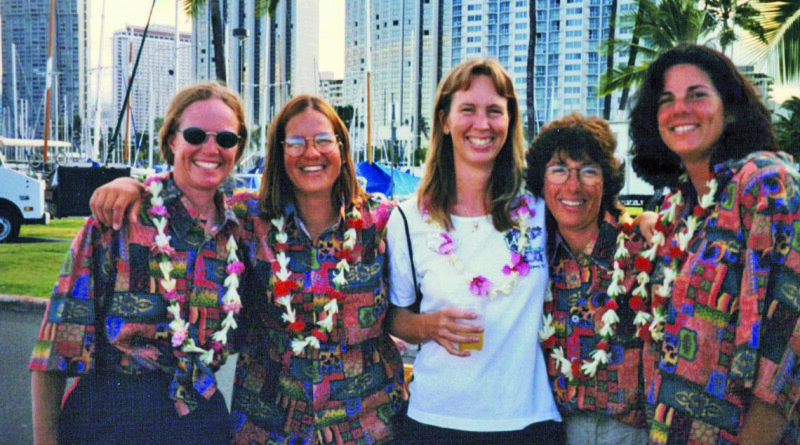 Long Beach Women’s Sailing Association will host a fundraising raffle and silent auction for a donation to the Long Beach Sailing Foundation Scholarship in Linda’s name. For more information on the LEMWOD Regatta, visit lemwod.com.